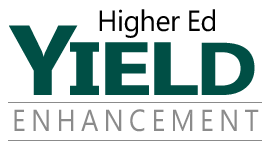 Yield Enhancement Series: Do the Students in Your Admit Pool Know Your Name? Ask yourself this: Do the students in my admit pool know me by name? If you confidently answered “YES,” congratulations! You have most likely established a relationship with each of the students you are hoping to enroll. If, like many admissions counselors, the answer to that question is “no,” or “I don’t know,” you have some work to do. I know you are thinking: “But I have 250, 500, 2500 (insert your number here) students in my admit pool! How can I be expected to know every one of them?” Most likely, if you were given a few minutes to pull your files and review your notes, you would be able to offer a synopsis of any one of those admitted students. And, no matter how many students you are working with, there are some that stand out so distinctly that you could rattle their names and stats off the top of your head. But, is your name on their minds? You may have dozens or hundreds of names to track, but the typical prospective student will only have a handful. Right now, you are the face of your college or university to the students in your admit pool. Successful admission professionals know that developing a connection with a student can greatly increase his or her commitment to the college and improve the likelihood of enrollment. In the midst of yield season, they know that strengthening that bond is crucial. I have spent over 20 years in the higher education field, and have experienced firsthand the joys of helping students find their perfect fit. One of those special connections happened when I was an admissions director during a particularly challenging yield season. It was a warm spring day when a woman walked into our offices with a giant smile on her face and a gorgeous, gourmet chocolate cheesecake in her arms. After introducing herself as the mother of a newly-enrolled student, she asked to speak to Julie, one of our superstar admissions counselors. As she presented Julie with the cheesecake she said, “I just want to thank you and your staff for helping my son through the admission’s process. He has officially enrolled and we are all so excited for him!” She explained that they had initially found the entire process to be overwhelming but “you were so patient and responsive that it took a lot of the stress off of us. Every single person that Brandon came into contact with here was so kind and helpful. It made the decision so much easier,” she added. In case you are wondering, that chocolate cheesecake was delicious but not nearly as sweet as the taste of success our whole team felt that day. If I can help you with your recruiting efforts in any way, please feel free to call or email me. I would love to talk to you about our powerful and effective Yield Enhancement System (YES). My contact information is at the bottom of this post. Karen Full is a highly-respected higher education professional who has held positions in admissions and enrollment management at several institutions in the Midwest and Florida. With her vast experience working with large and small, public and private colleges, Karen brings a valuable perspective to her role as an Enrollment Strategist at Longmire and Company. Call Karen at 913/492.1265 x.711 or email her at kfull@longmire-co.com. Follow Karen on Twitter @KarenAFull. What happened was that Joe and his parents had less than a stellar experience on their recent campus visit. Specifically, the campus “grounds appeared unkempt, the restrooms were unclean, and some staff members were not helpful or friendly.” This is what Joe’s mother told Liz after he enrolled at another university. As an admissions professional, you know how crucial first impressions can be. In our national co-sponsored study, Pre-Enrollment Service Study: How customer service delivery during the recruiting cycle influences enrollment, we found that over 53% of students and parents say that the pre-enrollment service they receive from a college influences their selection decision. Certainly, every communication, every interaction, every brand touch- point with a prospective student and/or parent has the potential to make or break the relationship that you have worked so hard to establish. You may know this, but does every other member of the team? And, by “team,” I mean every person at your college whose actions may influence the enrollment decision. Certainly, interactions with faculty, admissions and financial aid are critical, but many schools are surprised to find the impact that campus maintenance, grounds keeping, security and even the switchboard operators can have on creating a lasting impression. Longmire and Company offers Service Quality Management (SQM) to help you achieve these goals. Contact me today and I will show you how we can help you measure and manage your pre-enrollment service. Continue the conversation on Twitter @LongmireCo. This week marks the 87th Annual Academy Awards Ceremony, commonly referred to as “The Oscars.” Over 40 million of us are expected to be glued to our televisions, soaking up all the Hollywood glitz and glamour. We know that you have much more important events on your radar right now like organizing dynamic campus visits for your Class of 2015 recruits, but maybe you can do both! 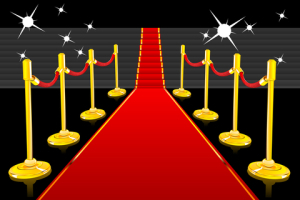 Perhaps Oscar can teach us all a few things about giving Red Carpet Treatment to prospective students and their parents that will make those visits, and all of our interactions, more memorable. 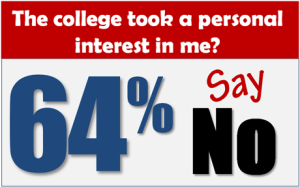 A recent nationwide study conducted by Longmire and Company of nearly 5,000 prospective college students and parents showed that 53% reported that their decision to enroll in a given school was heavily influenced by the level of service they received during the “college shopping” process. The study found that poor service delivery, across any brand touch point, often outweighs other important factors, including strength of academic programs, faculty reputation and even the financial aid. Students and their families believe that the type of service they receive during the college selection process is indicative of the overall service culture of the institution. Colleges and universities, large and small, public and private, are taking this to heart and adopting a more student-centric approach to campus-wide service, especially during the college shopping process. Our Service Quality Management assessments are industry-fresh and reflect the current demands and expectations of students and parents both pre- and post-enrollment. Here are a few Oscar-worthy concepts you may want to implement. Hollywood knows the importance of a well-timed picture and you can, too. A photo of a prospective student with the school mascot or at a college landmark that they can take home with them at the end of the day, or is mailed the following week with a (handwritten, perhaps?) note of thanks, can have a great and lasting impact. Even Hollywood celebrities can be star-struck when they get the chance to rub-elbows with the actors, directors and producers they have always admired. Make sure your prospective students get to socialize with your campus “celebrities,” too. For Joe, the trumpet player, the celebrity list might include the band director and another trumpet player. The aspiring journalist would most likely enjoy a visit to the school’s newspaper office. Your current student population, your faculty, and the college administration is full of celebrities—enlist their support. Nominees at this year’s Oscars will reportedly get $160,000 in gift items each. If that seems a little rich for your budget, don’t despair. You can leave a lasting impression with your recruits for a whole lot less. Backpacks, t-shirts, mugs, fresh-baked cookies with your logo are just a few of the myriad of items that can be given as a take home gift. Most importantly, make sure the SWAG is meaningful and will invoke the positive memories that you have worked so hard to create. Another Oscar-worthy tip: get local businesses to help defray the cost. Is there an area bakery or candy company who would like to provide goodies for the exposure? You don’t think that the Academy pays for all that SWAG, do you? Yield Enhancement Series: Is Your Admission Team Primed for Success? 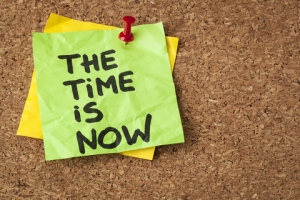 You know that you are in the heart of the most critical period of the recruitment cycle. Over the next few weeks roughly 60% of your prospect pool will make an emotional commitment to either your college or another. You have already invested months (or years) working toward building the best possible incoming class of 2015 freshmen and, if you are like most admission professionals, you have steep enrollment goals to achieve. Now, ask yourself this: Is my team primed for success? If you answered with a resounding “YES,” you are probably in the company of only 5% of admission professionals that reported that they “were not at all concerned” about making their class for 2015. According to its September 2014 Higher Education Outlook Survey, KPMG reported that 85% of higher education leaders are either “very” or “somewhat” concerned about maintaining enrollment levels—a 14% increase from the 2013 report. Here are things that any institution can begin doing tomorrow to improve the functioning and production of the admissions department: Identify the strengths of each and every member of the department, fully align their tasks with those strengths, and lead them with an understanding of how someone with their strengths is most productive. All too often enrollment and admission managers wait too long to act on this. There is no reason you have to wait. When generals are in the heat of battle, or football coaches in the third quarter, they take stock of who the players are and put them in a position which will most benefit the team. While this may sound simple in concept, it requires a radical change in thinking on the part of many organizations. They work more on trying to fix a department member’s weaknesses than maximizing their strengths. When we work with enrollment management departments we use a similar model to enhance productivity. You would be amazed at the results achieved when people are allowed to discover and play to their strong suits. Gallup Press published a pair of books on this topic called Strengths-Based Leadership and Strengths Finder 2.0. I highly recommend them. The information and guidance can be put to immediate use. In our Interactive Training Workshops for admission counselors, we see team members revitalized by the commitment that their leadership has made by investing in their future with professional development. At this point in the recruiting cycle our clients often see the training as a way to inject some sanity and organization at a time that is fraught with varying degrees of chaos and pressure. Now, when you need your team to be performing at the highest possible level, is the ideal time to energize and organize them with a focused training program. Consider this: the admissions department is responsible for the bulk of a college’s annual revenue. For state supported colleges, the percentage of total revenue generated through tuition may be well over 60%. For privates, it’s often 80% or more. Investing in the people who are responsible for generating interest among prospective students, managing the “sales” process and “closing the sale” offers the greatest possible return on investment. We see it work every day: Hire the right people, put them in roles that let their strengths shine through, and give them the proper training and tools so they can populate the institution with students who will be successful and committed to the institution long after graduation. Continue the conversation on Twitter @LongmireCo. Click this link for more information about Longmire and Company’s Yield Enhancement System (YES).